Cake Boss Buddy Valastro Creates a “Disney Dream” Cake — Literally! Thanks to Todd Perlmutter from the Disney Film Project Podcast for this fun photo journey from last week’s Disney Dream Cruise! 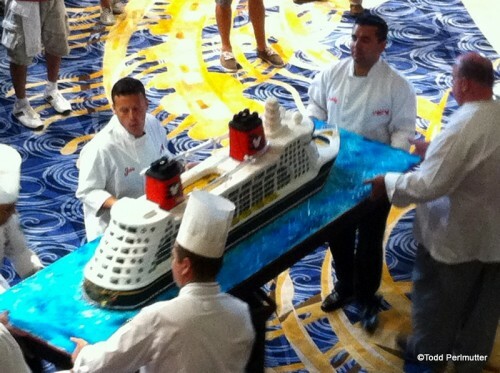 Chef Buddy Valastro from TV’s “Cake Boss” was on board and created a special cake for the cruise line! Buddy Valastro and his team of talented chefs board the Disney Dream to show off a cake that includes a working AquaDuck. 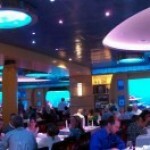 While on the cruise, Buddy and his wife, Lisa, renewed their vows! 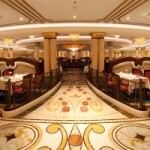 The episode of Cake Boss including this fun escape from Hoboken will air in January 2012. Thankfully, it’s smooth sailing during the cake’s arrival. 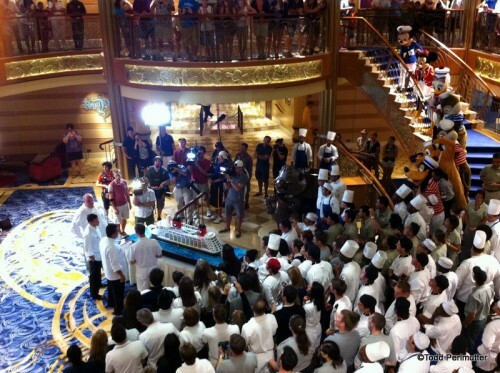 The chefs of the Disney Dream look on as the cake is revealed. 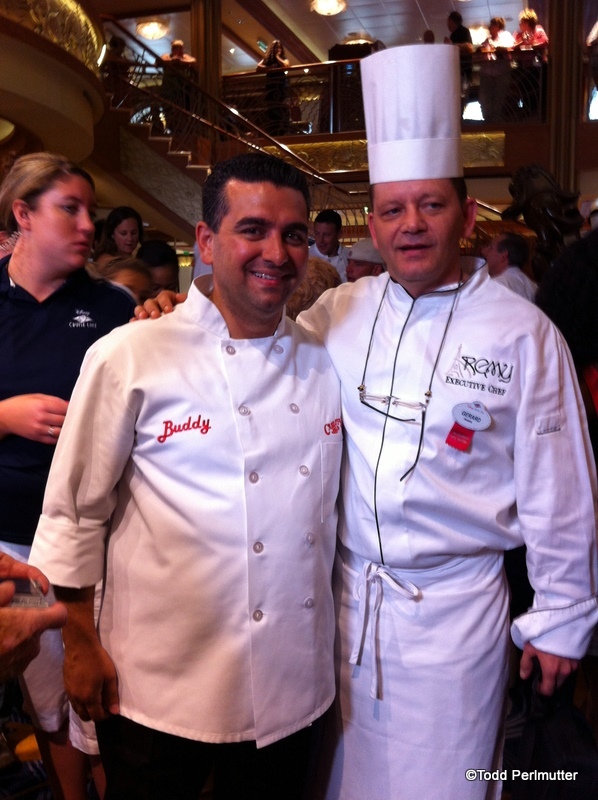 Buddy with a chef from the Dream’s most exclusive restaurant, Remy. 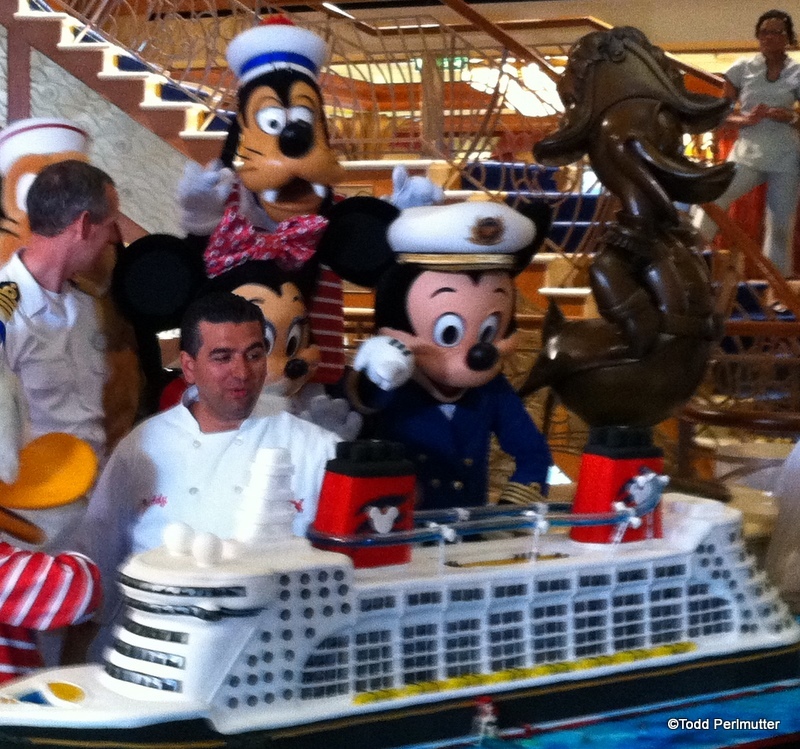 Buddy shows off his creation to the chefs and Captain Mickey. 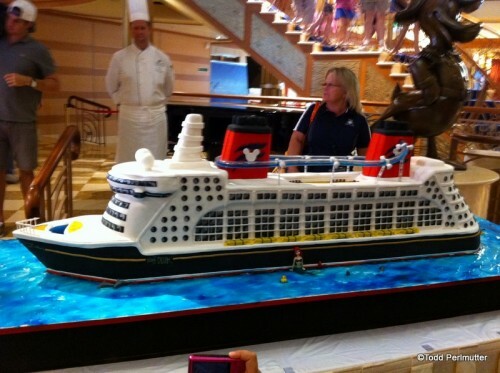 This sweetest Disney Dream ship ever created is unveiled. 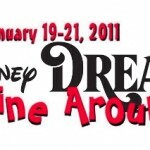 Looks like an incredible event! Thanks again to Todd Perlmutter for sharing these photos with us! And don’t forget — we’ll be featuring our review of Chef Buddy Valastro’s Epcot Food and Wine Festival culinary demo here on DFB very soon! Learn how to make the Cake Boss’s incredible tiramisu! It’s nice to see that even Executive Chef’s have to “earn their ears”! Bridget — I love that he’s got that tag on! 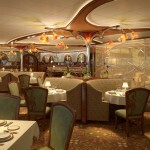 This is not Remy’s Exec Chef; but I imagine he’s someone pretty high up in the Pastry Chef department! Kellie — Ha ha! Got it! 🙂 Where do you work on the Dream? This cake was beautiful!!! I would have loved to seen it person. 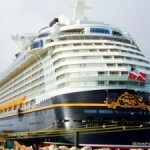 I was just on the Disney Magic and will be on the Fantasy in November. Watching this show made me excited to be going back!